Patnaik's statement apparently made it clear that the regional party is ready to support any coalition in the interest of the state. Odisha has a total of 21 Lok Sabha seats. The Biju Janata Dal (BJD) headed by chief minister Naveen Patnaik on Monday indicated it may shun its decade-old policy of keeping equal distance from both BJP and Congress after general elections and support the coalition that would support the just demand of Odisha. BJD which had won 20 out of them in last general elections still holds tremendous influence in the state. Ever since it severed alliance with BJP before the 2009 general election, the Biju Janata Dal has been claiming to be maintaining equal distance from both the BJP-led NDA and the Congress-led UPA. "Whichever government supports the just demand of Odisha, we will support that coalition. Whether it is UPA, NDA or anyone," Patnaik told a new channel. Anyone could be interpreted as a grouping of regional parties which could emerge as a third front after the poll results. Taking a dig at the chief minister for his changed stance, opposition Congress and BJP said the departure from the BJD chief's often repeated claim showed he has now sensed defeat in the elections this time. Though the BJD had supported the NDA government's several bills inlcuding GST, MMDR (amendment) or controversial demonetisation in last five years, Patnaik all along claimed that his party has been maintaining equal distance from both the groupings. The BJD had also supported NDA's presidential candidate and the deputy chairman of Rajya Sabha elections. Even a week ago on April 8, Patnaik had said that his party would maintain eqi-distance from both UPA and NDA. While snapping his party's more than decade-old ties with the BJP in 2009, Patnaik had dubbed the BJP as "communal" and the Congress as "corrupt." Patnaik's readiness to support any coalition assumes significance as it comes after the first phase of polling in Odisha. 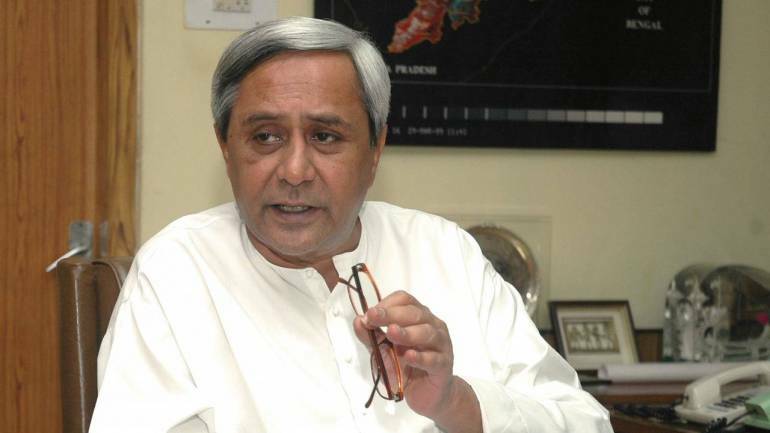 Earlier this month, while releasing BJD's poll manifesto, Patnaik had asserted that no national party would be able to form government at the Centre on its own. Therefore, regional parties like BJD would have a major role to play in the government formation in the Centre. On the same plea, Patnaik during election campaign has been calling upon the people of Odisha to ensure that BJD wins all the 21 Lok Sabha seats in the state so that the regional party could call shots at the centre. The BJD has been demanding special category status for Odisha saying it will solve most of the state's problems. "Patnaik makes such statement because he is now aware that BJD is losing the polls in Odisha," said BJP state vice president Samir Mohanty. OPCC president Niranjan Patnaik said: "Patnaik is saying so as he is not sure about victory of his party in the elections."